Nintendo has confirmed with a number of games media outlets that is has "no plans" to make the new, more responsive Wii MotionPlus compatible with older, non-MotionPlus titles, such as the original Wii Sports. 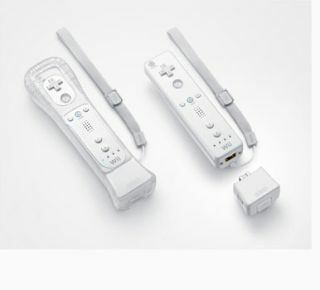 For the record, Nintendo's official line on the matter is that the: "Wii MotionPlus accessory is only for games that are designed to make use of its abilities. There are currently no plans to make it compatible with existing non-Wii MotionPlus enabled titles." "Surely it is like Sony announcing that GTA will now be patched to work with Eye Toy," one wag in the TechRadar office quipped on hearing the news. A quick Google search of some of the more nefarious Wii hacking sites out there soon confirms our initial suspicions - patching Wii games is simply technically impossible. NGamer's deputy editor Martin Kitts adds that:"as far as I'm aware it isn't actually possible to patch and add functionality to Wii games. Besides, even if it was technically feasible why would anyone spend precious resources revising the control scheme of games that were optimised to work with the standalone Wii remote? "If a publisher thinks MotionPlus would have benefited one of their existing games, they could always release a MotionPlus-enabled sequel. They probably will, if there's money in it, but there's no way anyone is going to patch old Wii games - which, like I said, is (apparently) not a feature supported by the Wii anyway." Wii MotionPlus launches in the UK on June 12, with Sega's Virtua Tennis available at launch, closely followed by EA's Grand Slam Tennis and Tiger Woods PGA Tour 10 later in June and Nintendo's own Wii Sports Resort later in July.